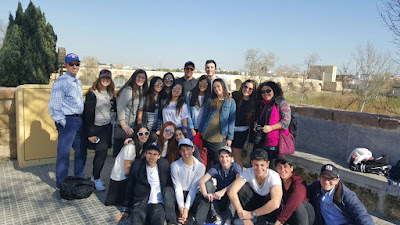 On the second day of our Sephardic Heritage Trip, we woke up bright and early and after minyan we took a high speed train from Madrid to Córdoba. 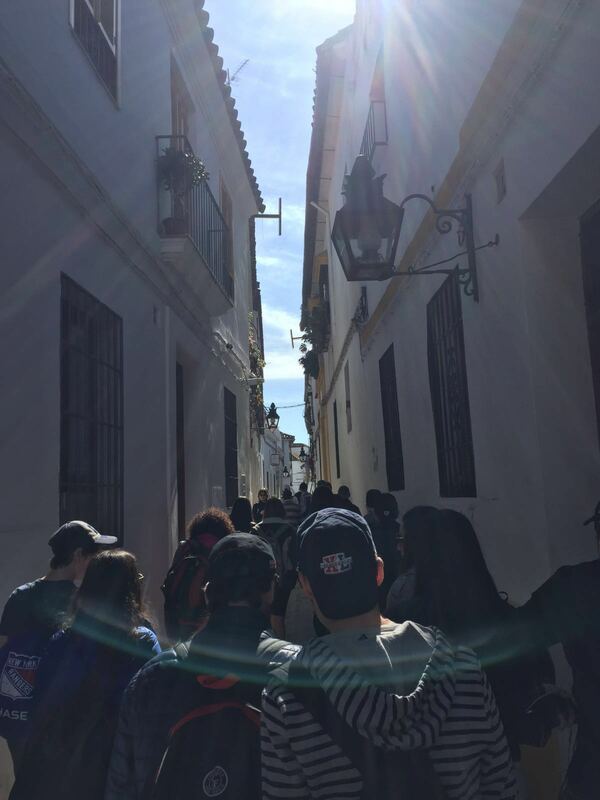 We walked through the old Jewish quarters in Córdoba. The outer walls look a bit like Jerusalem- resembling the old vibrant Jewish community. 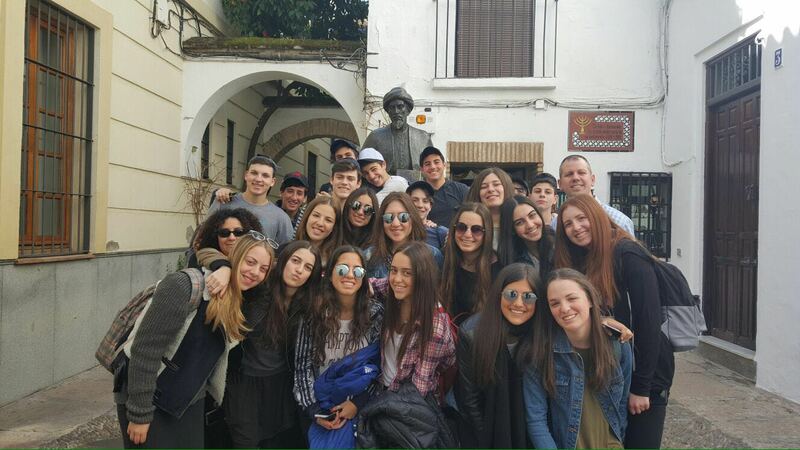 We walked to the "Synagoga Sephardi" which is one of the only three synagogues left in Spain! It was built in 1315, but it's beauty still radiates. We continued our walk through the windy streets, towards the statue of Rambam - Rabbi Moshe Ben Maimon. 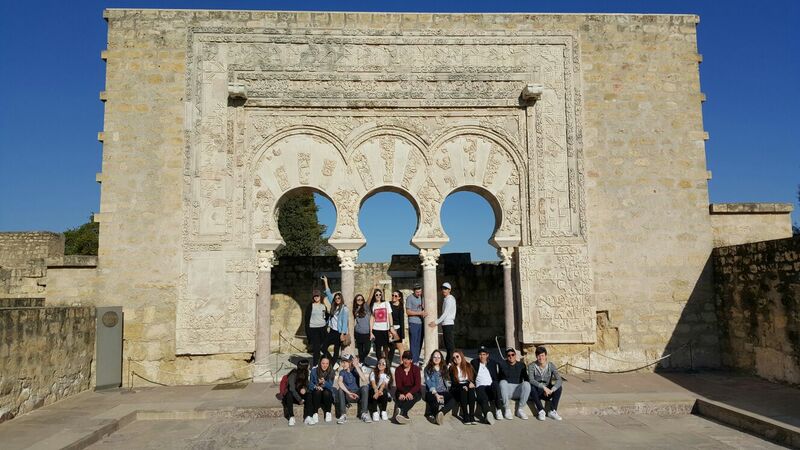 He was born in 1135 in Córdoba which was, at the time, a major center for Jewish life. He wrote many important scholarly books that we still use today. He was an amazing scholar, physician, worker and community servant. His formative years spent in Córdoba were extremely influential on his life. We then arrived at "La Catedral Córdoba" that was once a stately mosque. The moorish design of imposing arches was on an immense scale. We had some free time to explore the beautiful city. Before making our way to Seville, we stopped at the ruins of the Madinat al Zahra, where the Caliph ruled Al Andalusia. After an informative video about the Calaphate we walked around the archeological excavation. 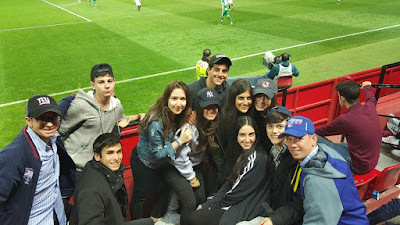 Then we were off to a soccer (futbol) game where the Seville won 1-0. The spirit in the stadium was exhilarating, we had the best time cheering! By the time we returned to our hotel, we were almost too tired to eat dinner. Looking forward to another great day tomorrow.